Apple has sensationally won a federal court decision that prevents Samsung's latest Galaxy Tab 10.1 Android tablet from going on sale in Australia until a patent lawsuit is resolved. Read our detailed Samsung Galaxy Tab 10.1 preview, and check out our guide to the best upcoming tablets in 2011. According to a Bloomberg report, the upcoming Samsung Galaxy Tab 10.1 infringes 10 Apple patents, including the "look and feel," and the touchscreen technology of the iPad 2. The report stated that Samsung has agreed to stop advertising the Galaxy Tab 10.1 in Australia and would not sell the tablet down under until the lawsuit is resolved. It also stated that Apple would pay Samsung unspecified damages in the event that Apple lost the lawsuit. The next hearing is scheduled for Monday 29 August. "It's no coincidence that Samsung's latest products look a lot like the iPhone and the iPad, from the shape of the hardware to the user interface and even the packaging," an Apple Australia spokesperson said in a statement. "This kind of blatant copying is wrong and we need to protect Apple's intellectual property when companies steal our ideas." The Bloomberg report also stated that Samsung has agreed to supply Apple three Australian samples of the Galaxy Tab 10.1 to analyse at least seven days before it plans to sell the device. 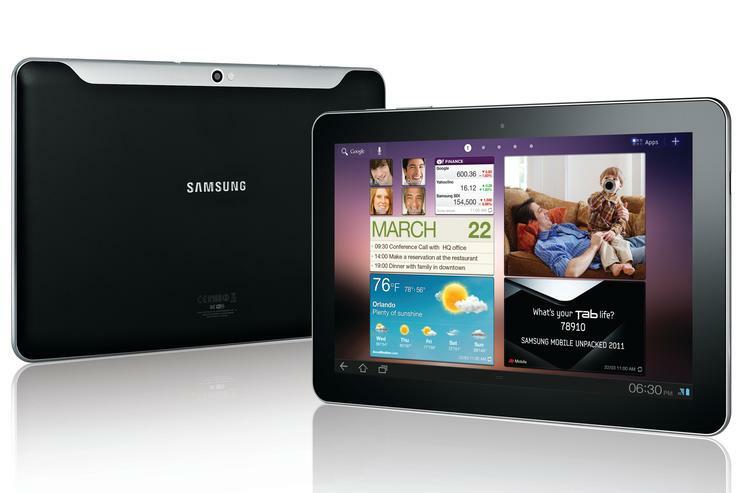 It is unknown if the court decision will affect the local unveiling of the Galaxy Tab 10.1 Android tablet. Last week, Samsung sent an invitation to the media for the launch of the "exciting new tablet" on 11 August. A statement from Samsung Electronics Australia said that the Australian version of the Samsung Galaxy Tab 10,1 will be released in the near future. "Apple Inc. filed a complaint with the Federal Court of Australia involving a Samsung GALAXY Tab 10.1 variant that Samsung Electronics had no plans of selling in Australia," the statement said. "No injunction was issued by the court and the parties in the case reached a mutual agreement which stipulates that the variant in question will not be sold in Australia." "A Samsung Galaxy Tab 10.1 for the Australian market will be released in the near future. This undertaking does not affect any other Samsung smartphone or tablet available in the Australian market or other countries. Samsung will continue to actively defend and protect our intellectual property to ensure our continued innovation and growth in the mobile communication business." The Galaxy Tab 10.1 is described by Samsung as "the world's thinnest mobile tablet" as it measures just 8.6 millimetres thick. It also weighs 565g grams, making it thinner and lighter than the iPad 2. Along with the new Galaxy Tab 10.1, Samsung was also expected to launch the smaller Galaxy Tab 8.9 in Australia in the coming months.